An Interminable List of Everyone Who Owes Me During this holiday season, debts have been on the mind of commentator Andrei Codrescu. He's been thinking about all kinds of debts, good debt, bad debt, public and private — debt is all around us. During this holiday season, debts have been on the mind of commentator Andrei Codrescu. He's been thinking about all kinds of debts, good debt, bad debt, public and private — debt is all around us. Debts have been on the mind of commentator Andrei Codrescu. He's thinking about debt of all kinds, good debt and bad, public debt and private; offers of interest-free loans and accusations of usury; borrowed time and the hell of payback. I was making a list of who owes me money, and you won't believe this: You're on it. Just kidding--sort of. I went through the obvious pretty fast; the government owes me for 40 years of pro-American feelings, but try and collect on that. I don't care. Just make good roads and get out of Iraq. Other countries owe me money, too, for unpaid good press and translation rights. Chief among those are Romania, France, Japan and Croatia. Never mind; use my labor to buy soft bread for the toothless. Among the major industries that owe me money are big oil, utilities, real estate, Internet shippers, Madison Avenue advertising, Hollywood, the tourism bureaus of 200 cities and 50 states, and the media, including publishing. Those each owe me about a million for overbilling, overcharging, underpaying or not paying at all, and stealing ideas for products and marketing. Sure, you can say the same thing, and you probably already have, but the difference is that I'm very serious. And I intend to get it as soon as I'm finished making this list, which is interminable. It may very well be that making such a list is just as hard as making some money, though the money I might make will never equal the money that people on the list owe me. It's in that differential that lies both the tragedy of human life and the fate of the global economy. The money that I know they owe me is exactly 0000.1 percent of the money I could make if I spent my time selling something instead of making this interminable list. In Hollywood, they call that sum a point, and they write it into contracts, but nobody's ever seen what such a point looks like, even if anybody ever got to see how much one's contribution to a movie earned, which nobody's ever seen. There is another equation at work here, which is as follows: The amount of money one earns for doing absolutely nothing is one million times greater than the amount of money one earns by working the hardest one can. This is such a truism it hardly needs proving. If you have a lot of money, and you do nothing, your money will multiply in direct proportion to your inactivity. Everything you do will be deducted from your money. If you don't have a lot of money, working hard will only hasten you to your grave, where the buck stops. If you don't have any money, you can easily start owing some if you do anything. The best situation is to have no money at all and to do nothing at all, in partnership with somebody who has a lot of money and also does nothing at all. The two of you can do nothing at all together and work very well. But back to my list. One of the people who owes me money is you, my listener, my hypocrite twin, my brother. I kept you entertained and doing nothing at all, which saved you a considerable amount. I want half of that. Meanwhile, the list goes on. And when I said that it's interminable, I meant just that. It will never be finished. It will always be true and it will outlive me, spilling like a bolt of fabric out of my grave and over your house. 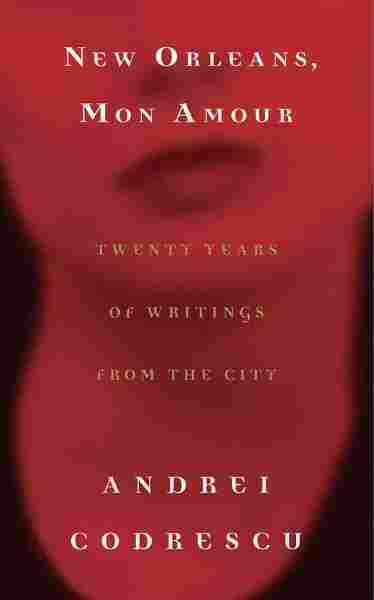 BLOCK: Andrei Codrescu's latest book is "New Orleans, Mon Amour."